New t-shirt design for the Bar 17 release. 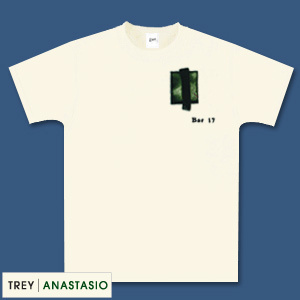 Bar 17 graphic on left chest and Trey Anastasio written across the upper back of the shirt. 100% cotton.